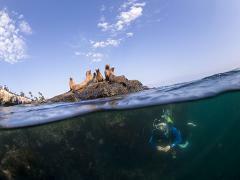 Join us as we explore some of San Diego's best scuba diving. 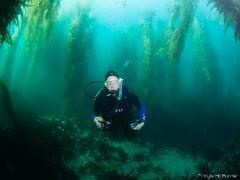 We'll guide you through dives at: Wreck Alley, Scripps Canyon, Point Loma and La Jolla kelp beds. Skip the surface swim and jump right in at the site. 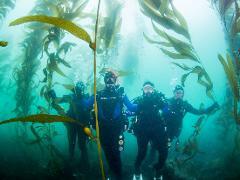 Experience the La Jolla Cove kelp forest for a 1-tank dive. Trip price includes all gear. 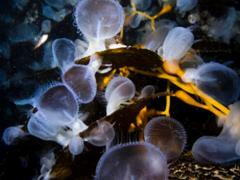 Meet us at La Jolla Cove for an early morning or mid-morning dive. SCUBA CERTIFICATION REQUIRED. SCUBA CERTIFICATION REQUIRED. If you haven't been diving lately and want a scuba refresher, sign up for our a 1-tank refresher dive at 8am at La Jolla Cove Kelp Forest. Trip price is all-inclusive of full gear rental. 4 divers max per tour. Experience the best shore dives of San Diego in one day. 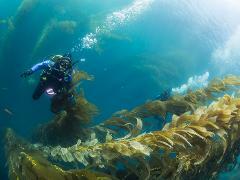 Our most popular scuba experience will show you the reef and famous kelp forest at La Jolla Cove. Trip price is all-inclusive. 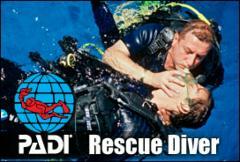 4 divers per Guide. 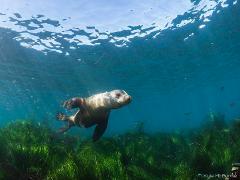 Join us for an amazing afternoon snorkeling the La Jolla Cove. 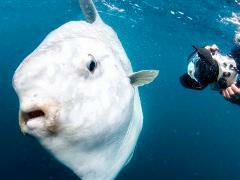 Our expert snorkel guides will ensure your comfort and safety in the water and show you all the amazing marine animals. Trip price is all-inclusive of full gear rental. Ready to see La Jolla in a new light (or lack of)? Our guides will take you to the submarine canyon at La Jolla Shores to view the nocturnal creatures that come out of hiding to feed at night. Includes full gear rental. 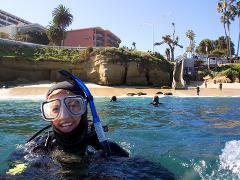 Join us for an amazing afternoon snorkeling at La Jolla Shores. 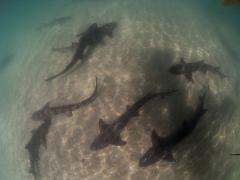 Our expert snorkel guides will show you the best spot to view leopard sharks. Trip price is all-inclusive of full gear. 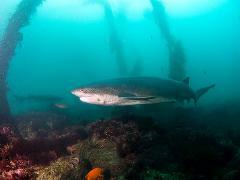 2-tank guided boat dive to dive cageless with the prehistoric-looking sevengill sharks. 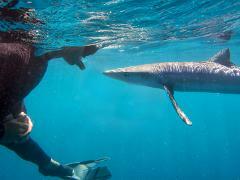 Snorkel with Blue and Mako Sharks in open water. Experience these sleek open ocean sharks in a cage-less environment. 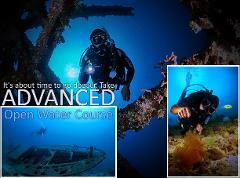 Dive gear, guide and food for the day are included in the price. Our full day Boat Charter of off shore fun is here to provide you with the experience you want with the guests you decide on. Whether it's SCUBA, Snorkel, Shark Diving or Bay Cruising, we make it a memorable day for you. We will be searching for opportunities to show you the incredible wildlife as we travel to your desired destination.